UK producer Gold Panda dropped a solid first album in last year's Lucky Shiner, proving himself as a forerunner in the current batch of pulsating beat-oriented electronic producers. Now, he will bring those massive sounds to venues across the globe on an upcoming world tour. The run of shows kicks off in Berlin on February 4 and continues through Europe until launching a North American tour that starts with SXSW and ends in Brooklyn. Buried in all those shows are Canadian stops in Vancouver on March 22 and Toronto on March 30. 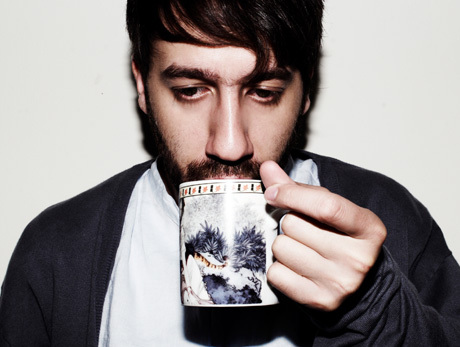 Then it's back to Europe, where Gold Panda will conclude the tour at Barcelona's Primavera Sound Festival on May 28. If you do make it out to any of these shows, it might be a good idea to express your gratitude to Gold Panda after he plays. In a recent interview with The Quietus, he confessed that he doesn't feel that great about touring. "No, I hate it. Well, I don't hate it, I'm just not a very confident person and it really affects me being away from home and not being able to make music, and having to perform," he said of touring. "I just feel the pressure a lot for some reason. I'm still very unsure about this as a career. Sometimes I'll do a gig and think 'wow, this is brilliant, I love it' but it's quite rare. It's probably to do with the venue and the mood you're in. Being tired can affect it. It's a lot of different things; you get the vibe off the crowd as well."